Meanwhile, the reservation and booking module with all the basic features is so far done. The screenshot shows very well the possible reservation levels. 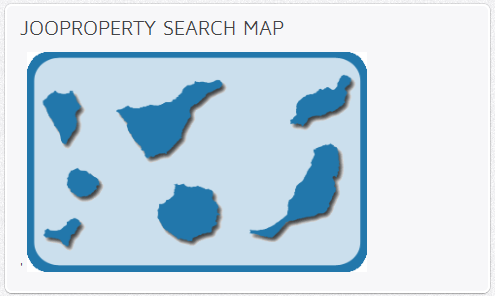 The back-end list of all properties is already a comprehensive overview of the real estate portfolio. About these features, you can search and sort for sure. In the data view of a property can be seen a few changes. The value Instances specifies the number of instances in which an object is present. This is useful in small guesthouses or hotels and are especially important in our later appearing hotel room reservation component JooHotel. Also interesting is the value Pricing model. It is set to be as comprehensive and specific a definition of the price of an object can be. See also the definitions of Saisons, Rates und Fees. As a baseline for creating a pricing model for a booking and reservation system, the period for a current price has to be determined. For this reason different travel times can be created like in a holiday catalog. By the definition of a color code, the times are pretty separated in the price calender. Like from some people demanded we combined standard search modul with availsearch and also added a free ajax based text search field. 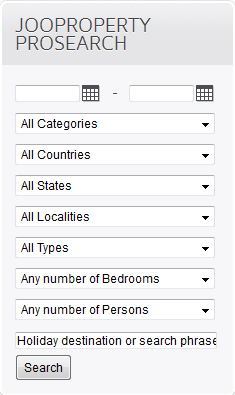 Choose the search like you want, you can also place different searches on the same page. After a long time and lots of work JooProperty will be listed in the Joomla Extensions Directory. I hope we will find now a lot more people to help and support the development of the componente.